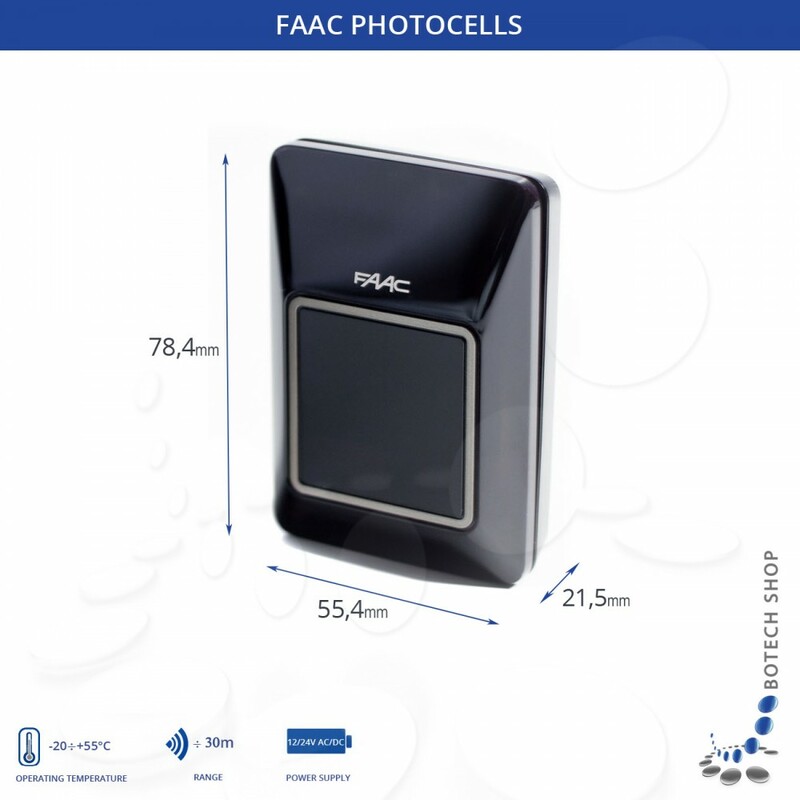 Photocell FAAC XP 30 is the succesor of the FAAC PHOTOBEAM. The new photocells are much different. 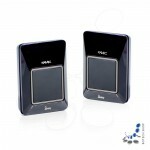 They are characterized with a very thin construction, they have only 21 mm of thickness! Moreover the small length and width (78x55 mm) makes this model very discreet and compact. 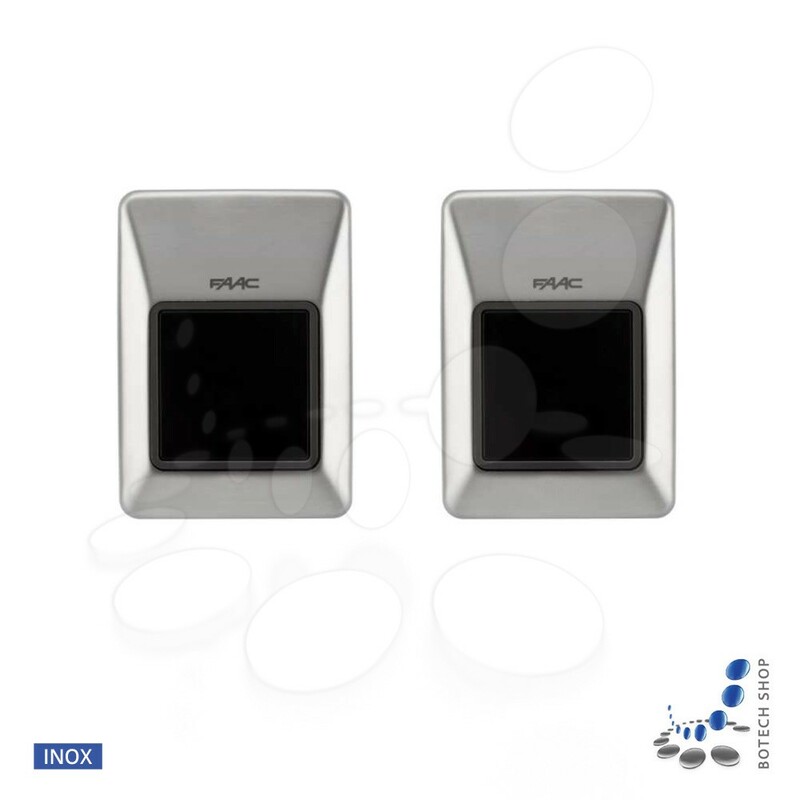 Thanks to the metal components and a trapezoidal shape XP 30 photocells are very resistant to shock and strikes. 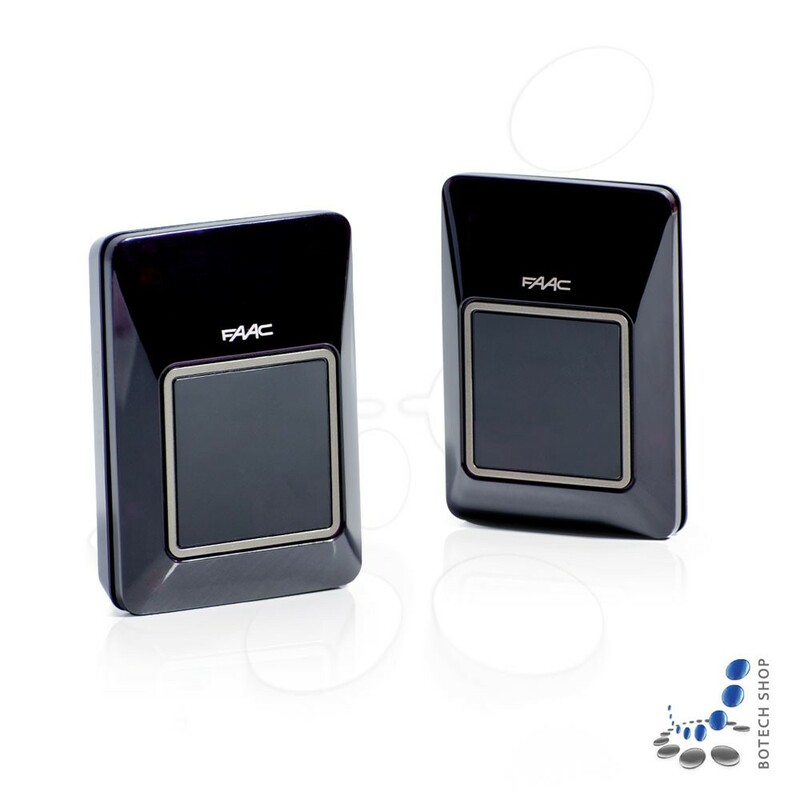 Photocell FAAC XP 30 is suitable for surface mounting. Estimated range is up to 30 meters. A set of photocells is composed of a receiver and a transmitter. Technical information can be found in tabel below. 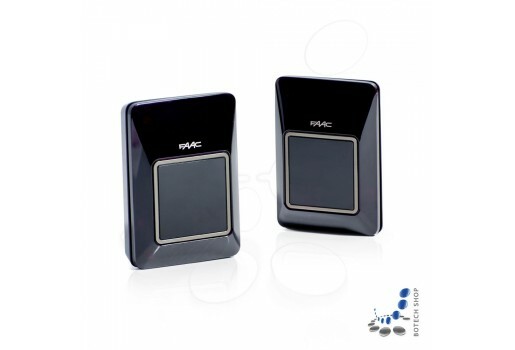 Photocells FAAC XP30 is the succesor of photocells FAAC PHOTOBEAM.